Los Angeles (AFP) - James Harden scored 27 points in the first quarter and matched his career best of 61 as the Houston Rockets rallied late to beat the San Antonio Spurs 111-105 on Friday. 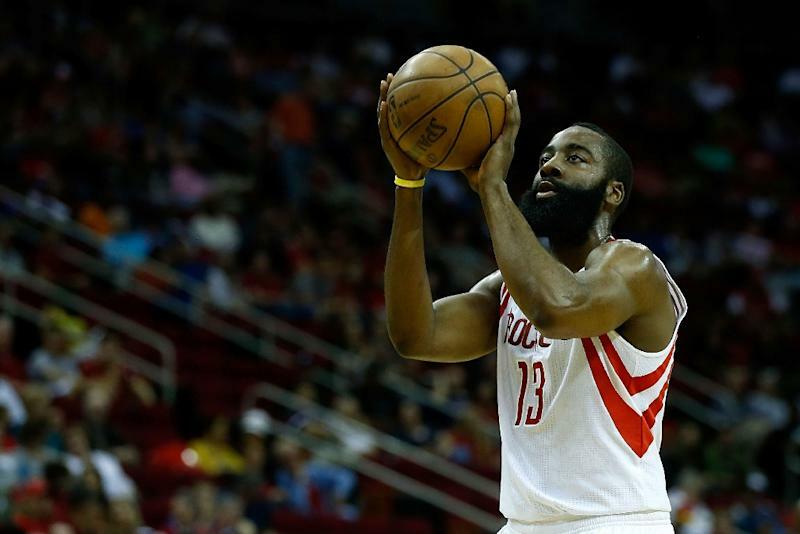 "I work every single day to be the best I can be," Harden said. "I got a chance to be one of the best players to ever touch a basketball. As a kid that's what you dream about." "I am always in that zone," he said. "I got a conscious in the back my head to get my teammates involved. "I was trying to figure out a way to get them shots and get them going a little bit because at the end of the day I am going to need them. "In the fourth quarter I had to be aggressive and take my shots." His 27 points in the quarter were the second-most in franchise history, trailing only Vernon Maxwell's 30 in 1991. "I am a hooper, I am hooper. I love to hoop," Harden said. "I know hooping isn't going to be here forever. "So I love to get out there and compete. The best days are when the legs are a little tired and the shot isn't falling cause you got to figure out ways to get through it. I love going out there and competing." Dennis Schroder scored 26 points off the bench and Jerami Grant had 19 as the Thunder avenged Wednesday's 123-114 home defeat to Toronto. "You look down (at the box score), we shot 50 per cent, 52 per cent from three, 85 per cent from the line and you think, 'How are you not winning that game?'" Nurse said. "Then you look over at the turnovers, 22 of them."